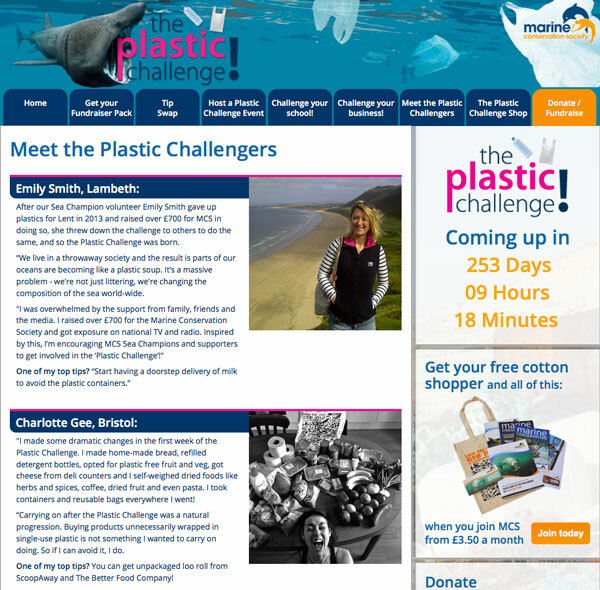 Brief: To create a mini site for The Marine Conservation Society’s Plastics Challenge. The site would contain information about the challenge, links to PDFs, sign up forms, challengers profiles and a Tip Swap. The site had to be integrated with the Marine Conservation Society website and work within its Content Management System so that staff at MCS could update the site as required. 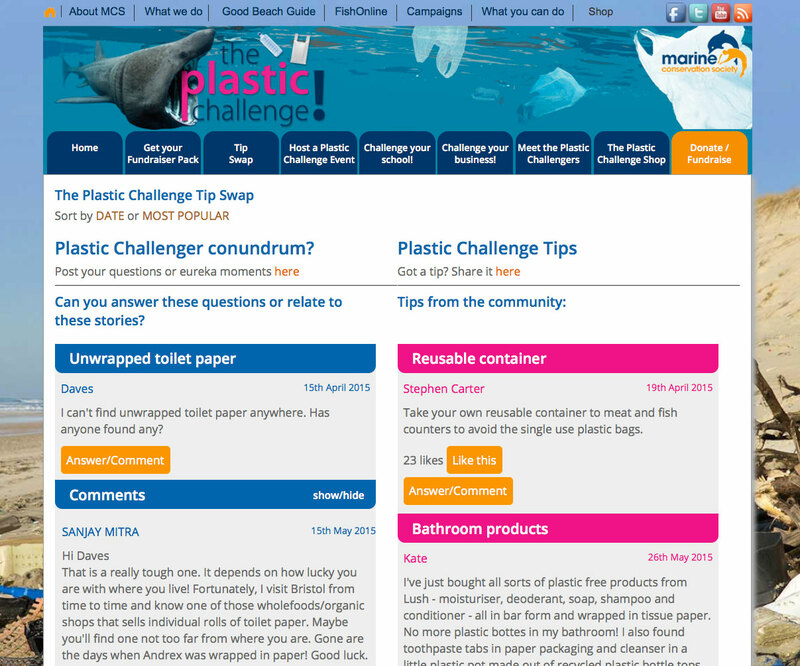 View the Plastics Challenge mini site. The Tip Swap needed to accommodate questions, answers and tips covering all aspects of the plastics challenge. Anyone would be able to post a question, give an answer or share a tip. Tips or comments could also be ‘liked’ and also viewed by popularity. All input would be submitted to an MCS moderator before being posted live on the site. As a family we also took on the Plastics Challenge – to avoid buying single use plastic for one month.